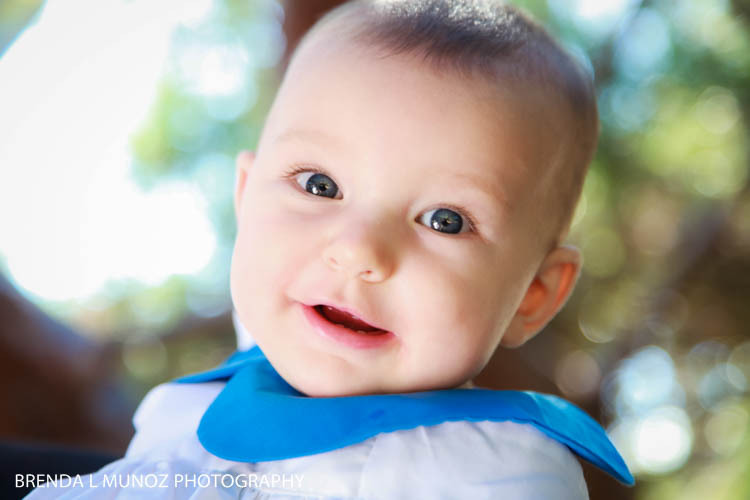 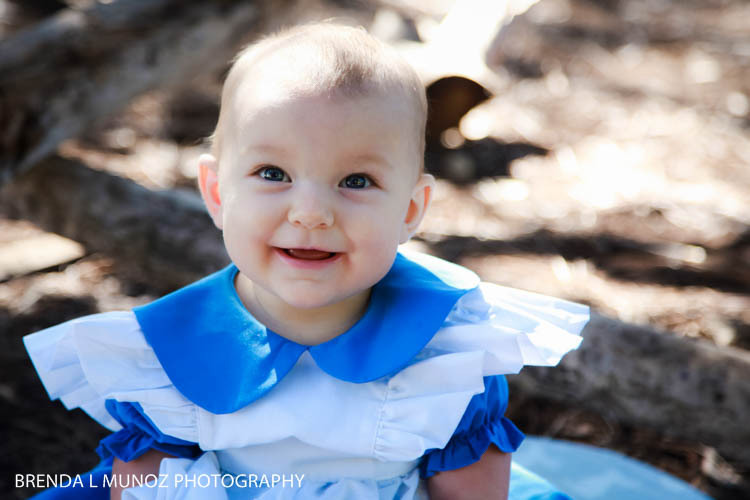 This is the third time that I photograph this little girl, and each time she just gets cuter and cuter! 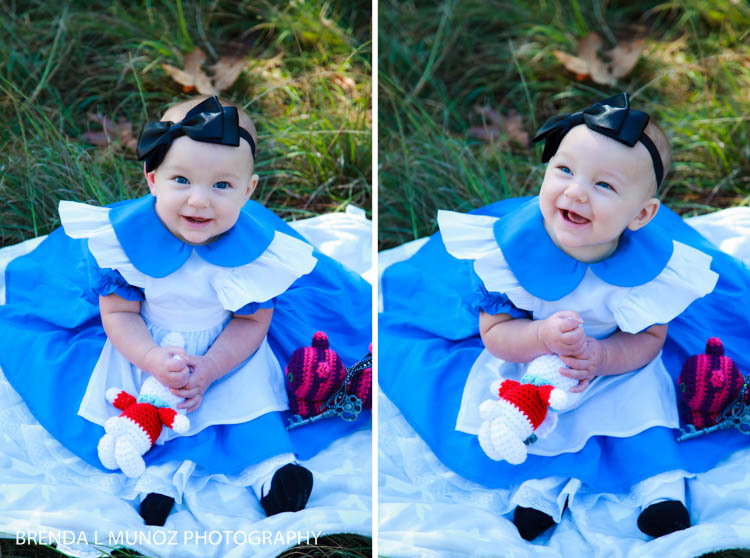 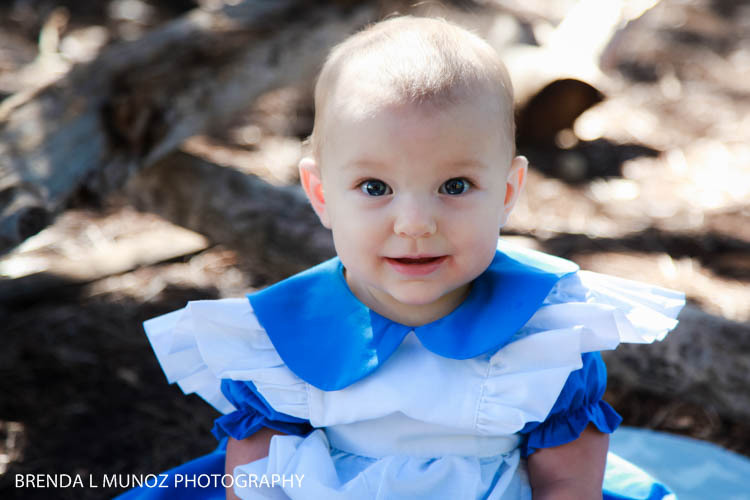 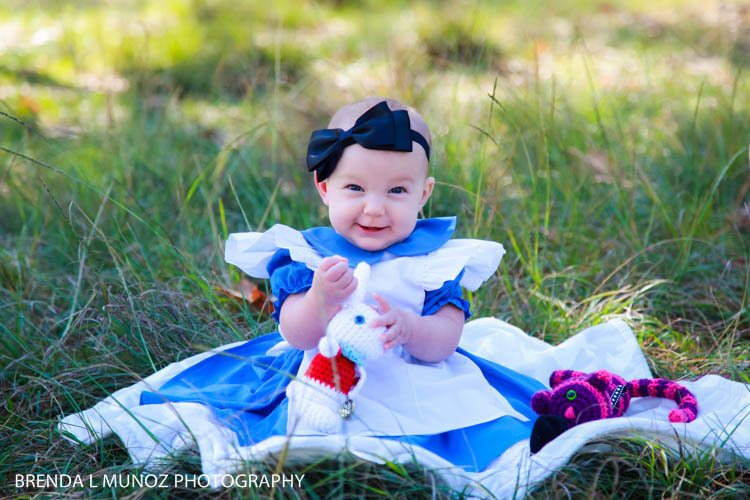 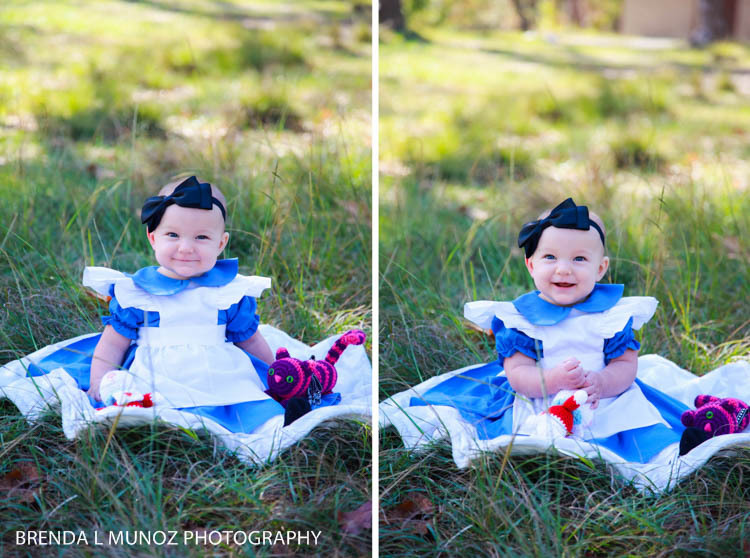 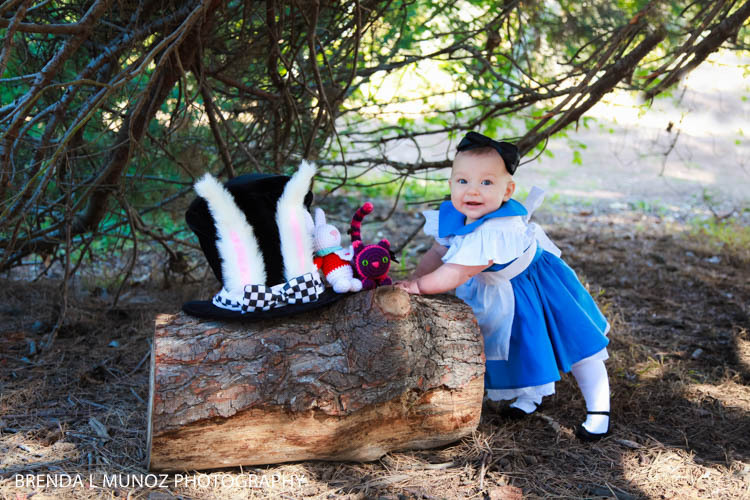 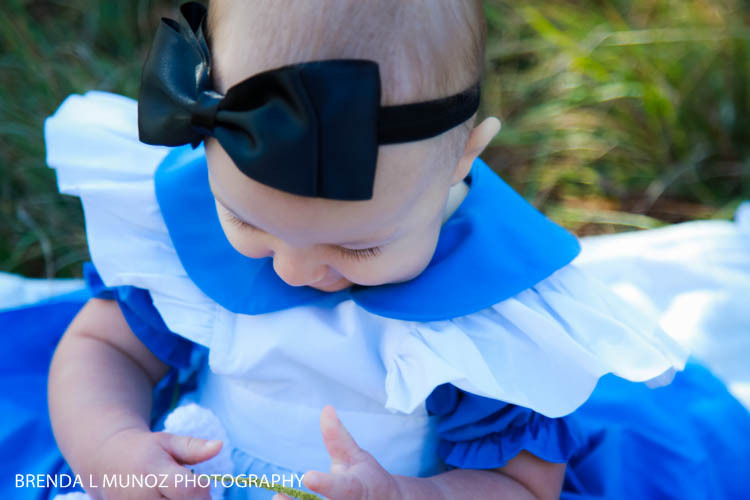 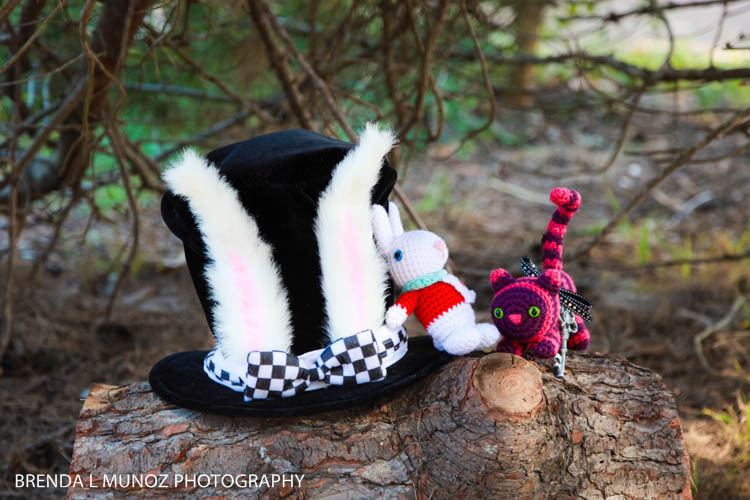 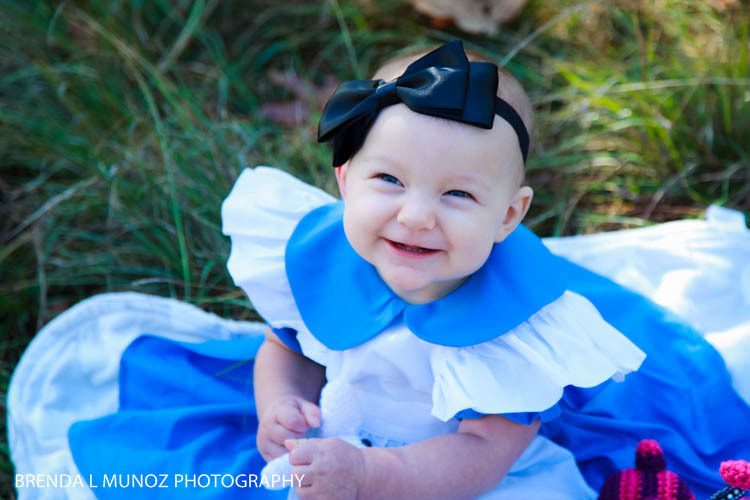 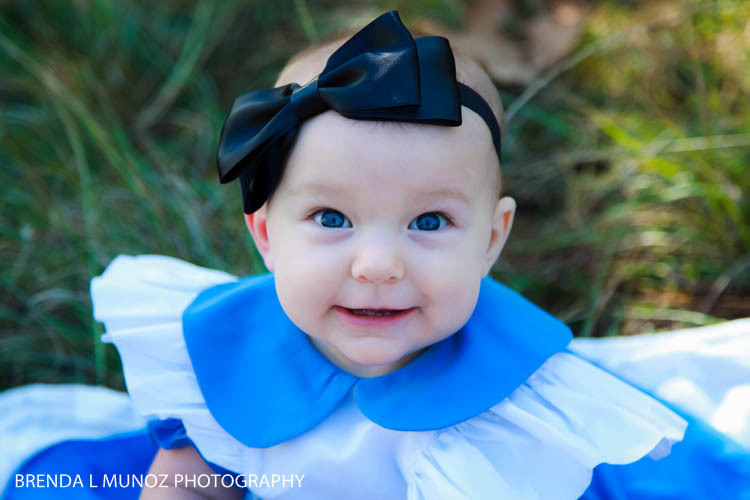 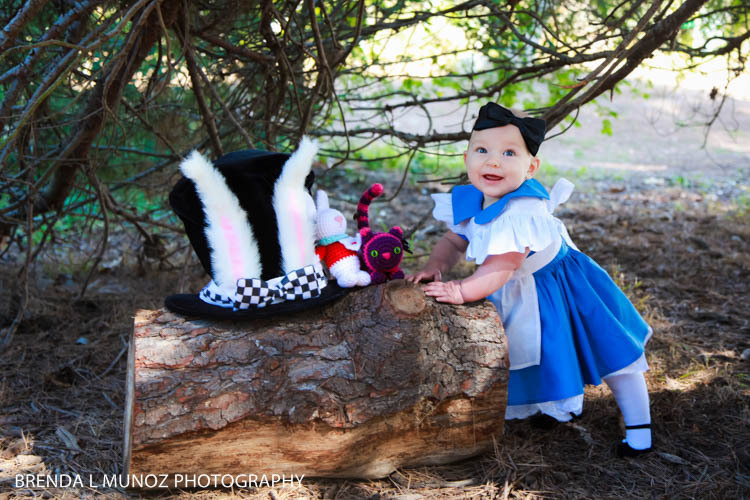 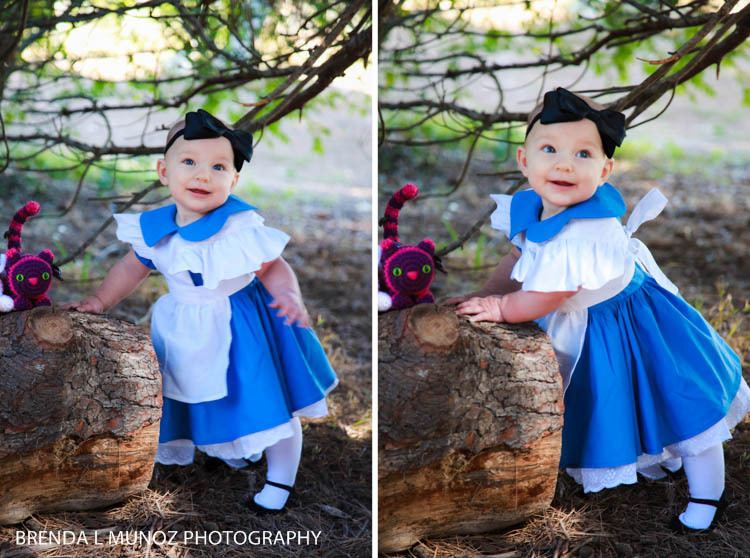 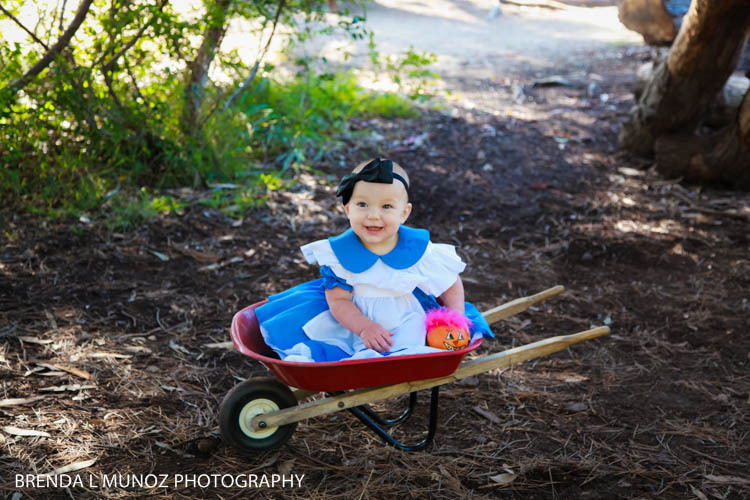 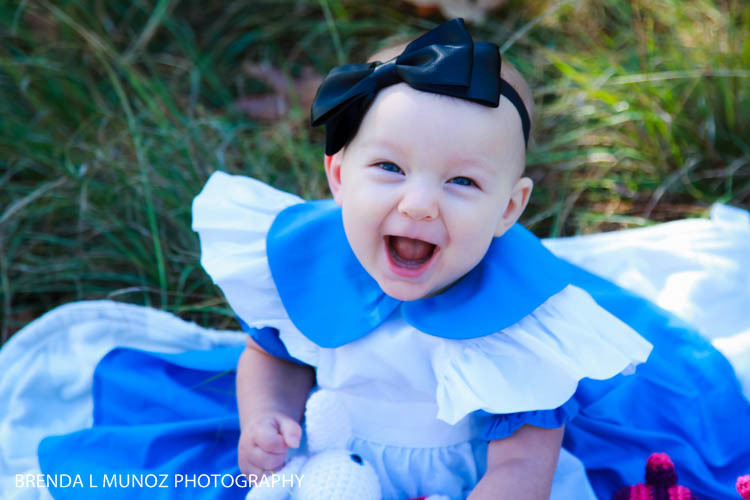 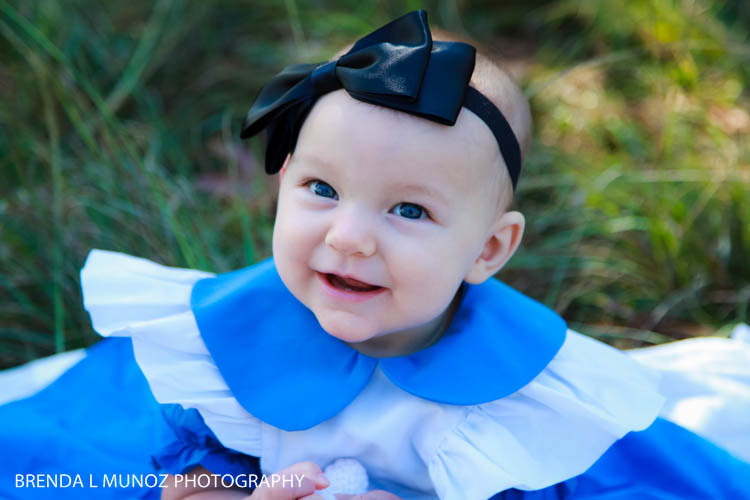 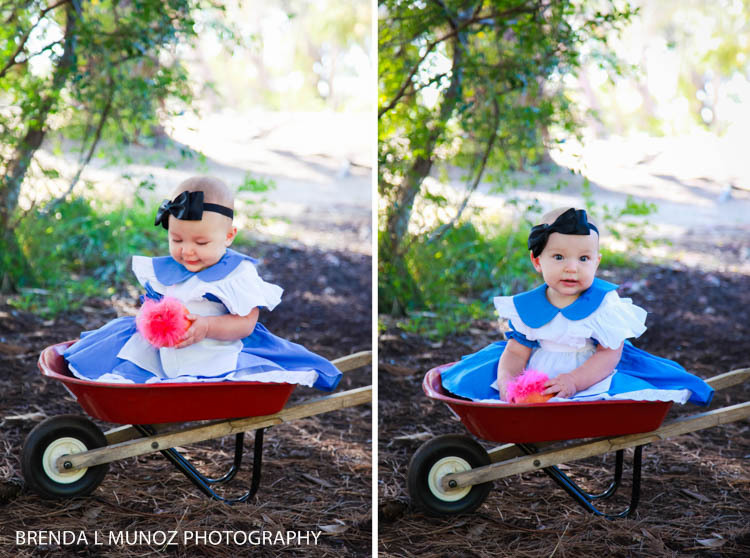 For her 9 month milestone we did a mini session and she was dressed as Alice from Alice in Wonderland, honoring her middle name, and oh my gosh she was so adorable! 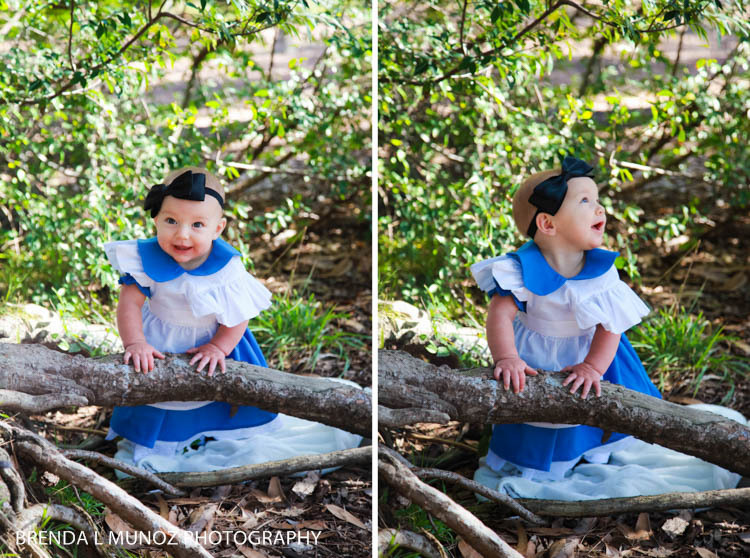 She now crawls, stands, laughs and just look at those eyes and cheeks!